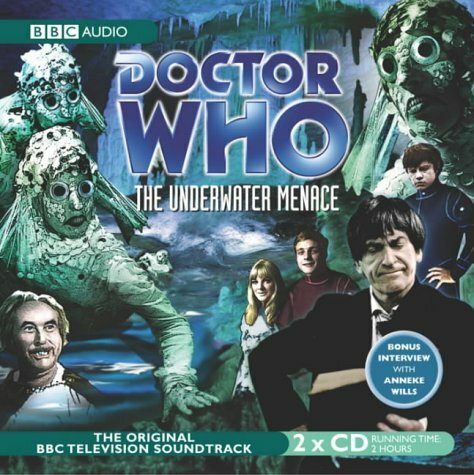 Patrick Troughton stars as the second Doctor in this 1967 adventure, which finds him stumbling across the lost city of Atlantis The TARDIS arrives on an extinct volcanic island, beneath which lies a fantastic subterranean world inhabited by the primitive Atlanteans. The Doctor and his companions move from the frying pan to fire when they are rescued, from death at the jaws of hungry sharks, by the mad Professor Zaroff - whose plans involve nothing less than the destruction of the whole world. Ben and Jamie are sent to work in the mines, and Polly looks set to be transformed into a water-breathing Fish Person unless the Doctor can intervene. Will the travellers be able to engineer the revolution which is needed to save Earth This long-awaited release also features a bonus interview with Anneke Wills, who played Polly in the story and who also provides linking narration for the soundtrack. Only one episode of this story currently exists in the BBC Television Archives.